The site for Lynnbrook Park was identified using the Healthy Connected Chattanooga interactive decision support tool. The project area was identified as the second-highest priority for a new park in the city and residents had been lobbying City leadership for more park access for several years. The community is highly diverse, mainly low-income, and faces issues such as low civic participation and community cohesion, high risk of obesity and diabetes, and significant environmental vulnerabilities. More than 3,000 people within a 10-minute walk of the future park. The 1.4-acre site contains a tributary stream of the Dobbs Branch watershed. The stream is piped underneath an asphalt lot, then flows through a concrete channel. As part of the park project, TPL recommends removing of the impervious asphalt and incorporating green infrastructure features into the park design to reduce stormwater runoff. 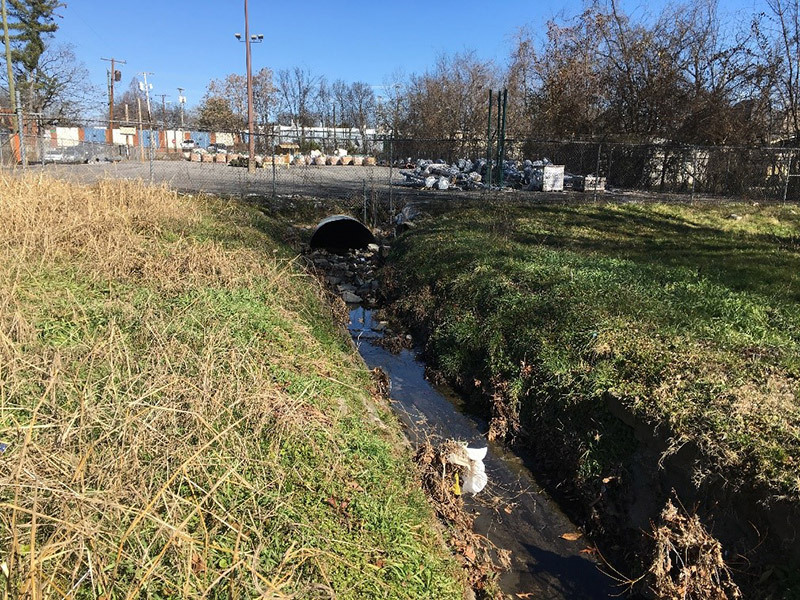 In conjunction with the park project, the Water Quality Program is planning a project to the south of the site to remove the WPA channel and restore the stream to a more natural state. The goal of their work is to improve the health of the stream while reducing localized flooding in downstream areas. Because of the cultural diversity within this community, we believe creative placemaking is the best approach to engage residents in an authentic manner about the future park, and ensure the design reflects the community’s culture, values and priorities. Using an Our Town grant from the National Endowment for the Arts, TPL hired an artist team to employ cultural activities and art forms to help the community create and share its vision for the vacant lot. In the FY 2019 capital budget, the City of Chattanooga budgeted funds to complete design of the new park and is currently determining funding for construction.